Ethnic Miao people have very colorful and unique costumes, beautiful and with many varieties of styles depend on tribe-to-tribe, village-to-village. 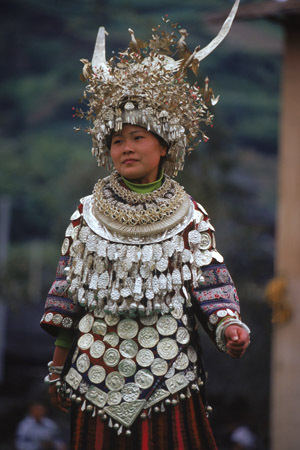 Silvery ornaments are widely used and are the most common and important jewelry decorations among Miao women. They are also the symbol of wealth.